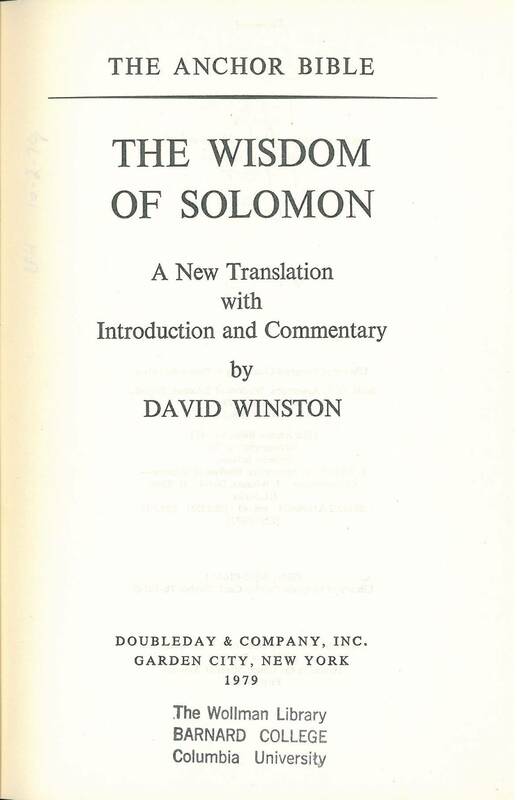 Contents: Wisdom of Solomon •• The Apocrypha • Preface • Contents • Principal Abbreviations • Introduction •• Index of Ancient Authors • Index of Subjects • Index of Scriptural References • Index of Pseudepicraphica, Qumran, and Rabbinic Literature • Key to the Text. 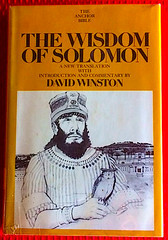 Comments: Hard cover, large octavo, sewn binding, DJ. XXIV & 360 pp. 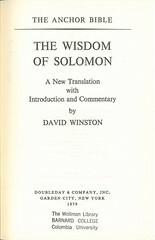 ; translation & notes start w/ p. 97 through 332.